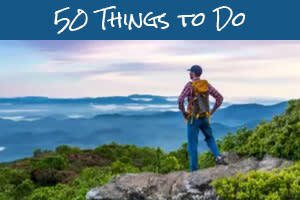 With so much going on this weekend in Asheville, the only problem you&apos;ll have is deciding what to do! You&apos;ll have your pick of great annual events such as Mountain Heritage Day, Barnaroo and Oktoberfest. But, you also can be on the ground floor of brand new events such as a vinyl record celebration and a nature festival. Meanwhile, fall colors are starting to pop throughout the area, especially at the highest elevations (above 5,000 feet). 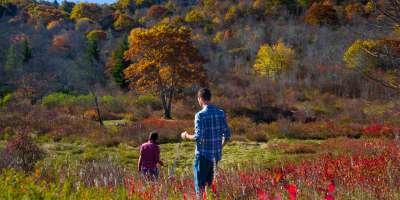 Graveyard Fields (shown above) is located near Milepost 418 of the Blue Ridge Parkway and is among the places seeing good fall color right now. 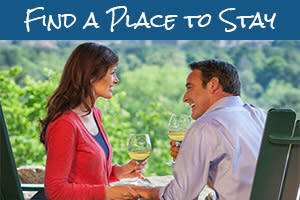 To plan your fall color getaway, check out FallintheMountains.com! No matter what you choose to do in Asheville this weekend, be sure to post your pictures using #VisitAsheville to share your adventures with us and for a chance to be featured on Facebook, Instagram and Twitter! Non-stop music fills the air for three days on 33 beautiful acres at Franny’s Farm in the nearby community of Leicester! 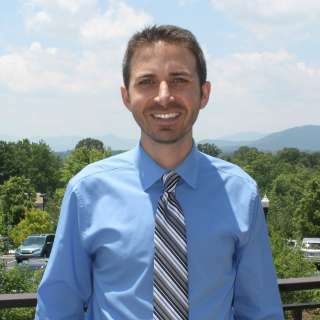 Asheville Barnaroo, presented by Andrew Scotchie, is now in its fifth year. It’s an all-weekend event with optional camping. The festival features more than a dozen local and regional bands and performers. 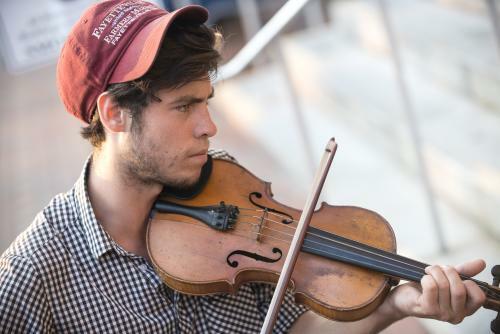 Barnaroo’s goal is to give back to the community through the Asheville Music School, so you’ll also be hearing from rising local musicians. While you listen to the music, taste the local beer from Hi-Wire Brewing and the local food from Farm to Fender food truck. And, see the work of talented regional crafts artists. Tickets range from $20 for a day pass to $75 for an all-weekend pass including camping. Sunday’s activities are free to the public from 9 a.m. to festival close at 2 p.m.
Come together with fellow coffee lovers to celebrate the rich coffee scene in Asheville and Western North Carolina! 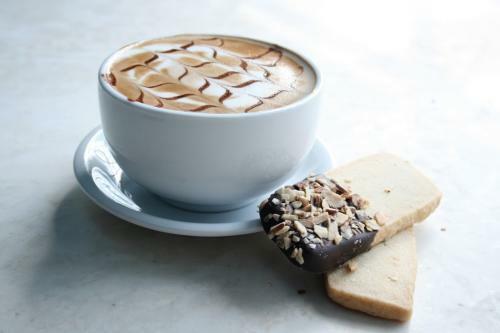 Try free samples of coffee and shop the goods from local coffee roasters, cafes, tea producers, bakeries and doughnut shops. You’ll also be able to cast your vote for the best cup of coffee you taste at the event in order to help crown “Best House Cup.” And, watch as baristas duke it out in the “Triple Espresso Barista Challenge.” They’ll test their skills at making great latte art, the perfect cappuccino and a “freestyle” espresso beverage of their own creation! Wicked Weed, Asheville, 12-5 p.m.
Sierra Nevada, Mills River, 5-10 p.m. Begin a day-long celebration in the spirit of Oktoberfest at Wicked Weed from 12-5 p.m. Wicked Weed will have five German beers on tap, German food, live music and a stein holding competition. Admission is free. From 5-10 p.m., Sierra Nevada fires up its Oktoberfest celebration in nearby Mills River. Sierra Nevada will also have new beers available, including the new Oktoberfest Collaboration festival beer. In addition to great food and music, participate in the Chicken Dance contest and the Flash Your ‘Stache competition. And, don’t miss the live glass blowing demonstrations. Tickets are $45. It’s a great day of Oktoberfest but remember to drink responsibly! Can’t make it to one of these Oktoberfest festivals? 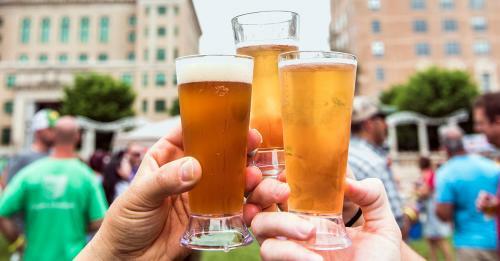 The big Asheville Oktoberfest is held in downtown’s Pack Square Park the following weekend, October 7, with more than 30 breweries, cideries, and wineries represented. With two stages, 24 performances, 20 food vendors and 150 exhibitors, this promises to be the biggest Blue Ridge Pride Festival ever. The day-long event is a celebration the LGBTQ community. On the main stage in Pack Square Park, see many of Asheville&apos;s most-talented musicians and entertainers. You&apos;ll also enjoy local pride traditions such as Cantaria Gay Men&apos;s Chorus, the Beer City Sisters and the Second Line Parade around the park. There will also be a wedding during the festival! Additional celebrations will be held at O&apos;Henry&apos;s and Scandals Nightclub on Saturday night after the festival. Leading up to the festival on Thursday night beginning at 7 p.m., see a dozen queens vie for the title in the Miss Blue Ridge Pride Pageant at the Asheville Masonic Temple. Are you a vinyl record junkie? Come visit some of the best vinyl record dealers and collectors in the region at this first annual Asheville Vinyl Festish Record Convention on two floors at Asheville Music Hall! Browse through some incredible records and take home that hidden treasure you’ve been searching for to add to your collection. Have first pick before the festival officially opens with a $5 ticket. Early pick goes from 11 a.m. to Noon. Otherwise admission is free from 12-6 p.m. As you browse the records, enjoy music, beer and food! For the first time, Land and Lore Ecotours presents the Nature Festival in Asheville. As the name implies, you’ll have the opportunity to enjoy all kinds of nature-inspired activities, with many activities designed especially for children. On hand at The Bywater will be live birds of prey and other wildlife, including amphibians and reptiles. Your kids can visit the craft booths and have animal-inspired face painting. There’ll also be a scavenger hunt, raffle and outdoor yoga. The festival is free and is also dog-friendly! 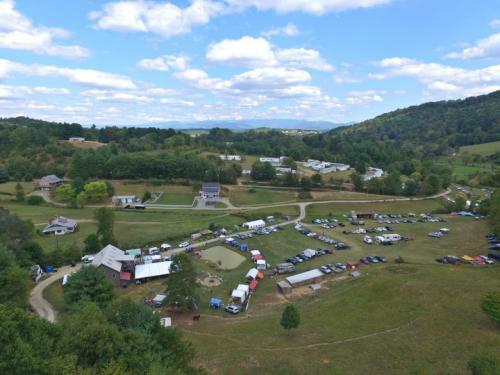 For the 43rd year, Mountain Heritage Day is an old-fashioned mountain fair with a showcase of Southern Appalchian music, arts, dance and song, combined with the atmosphere of a big family reunion. Experience the rich heritage of the mountains with three stages featuring traditional old-time, gospel and bluegrass music and dance. You’ll see plenty of fiddles, banjos and clogging! Join in the workshops at the Circle Tent and participate in shape-note singing, one of the mountains’ most sacred traditions. Admission and parking are free, making this a great event for the family! Four bands, one night. Rock out for a great cause at The Grey Eagle at this benefit concert with all proceeds going to the Asheville Humane Society. The Asheville Humane Society is a no kill shelter that rescues, cares for and rehomes animals 365 days a year. Rock for Rescues bands include Ashley Heath, Poet Radio, Brief Awakening and Fashion Bath, as well as comedy by Andrew Cummins. Tickets are $10 (suggested donation). It’s never too early to gear up for Halloween! 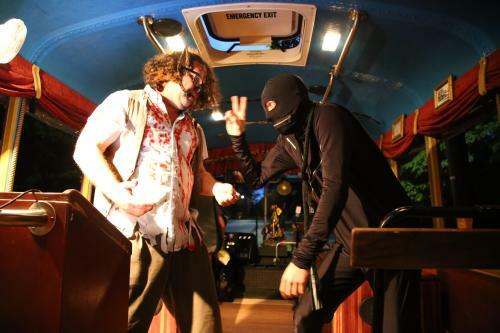 LaZoom’s year-round, adults-only Haunted Comedy bus tour of Asheville gets a retro Halloween makeover beginning September 30th. The revamped tour will feature classic movie monsters made famous by Universal Studios in the 1930s and 1940s. If you dress up as your favorite movie monster, you’ll receive a $10 gift card to be used for future LaZoom Tours! The special Halloween Haunted Tours run through Halloween night (Oct. 31). After the final tour on Halloween night, the LaZoom Room will be transformed into the Monster’s Ball with a DJ, drink specials and a costume contest! Tickets for the tour costs $23 and the tour is one hour long. You must be 17 years or older to ride this particular tour.